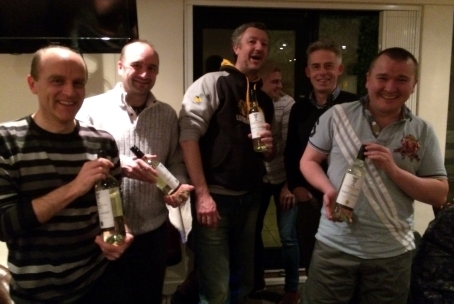 From Andy Griffin: “There was a fantastic Club turn out of members – 67 in total for the WHC Quiz Night on Saturday 30th January. The Badgers fielded three teams - kids, dads and mums - Team Badger, The Gentleman Badgers and Lady Badgers respectively. Both banter and alcohol flowed freely as a fierce (but friendly) rivalry developed between the Lady Badgers and The Gentlemen Badgers; whilst Team Badger was busy recruiting Siri to their team. So engrossed were we in our own private battles that it came as quite a surprise to find that The Gentlemen Badgers were leading the pack at the half-way point (despite a slightly dodgy history round and a heated debate with the Lady Badgers about Queens called Mary!). Another fantastic social organised by Harriet and Tim.